Barclay William Henshaw1 [Bartley Henshaw8, Bert Henshaw1]. Barclay & Flora's marriage was reported in "The American Friend" on 9-27-189414 (see scan below). Henshaw Barclay W., clk, J.J. Thomas & Co., r. 920 22d. Henshaw Barclay W., collector, J. J. Thomas & Co., r. 2742 Stout. 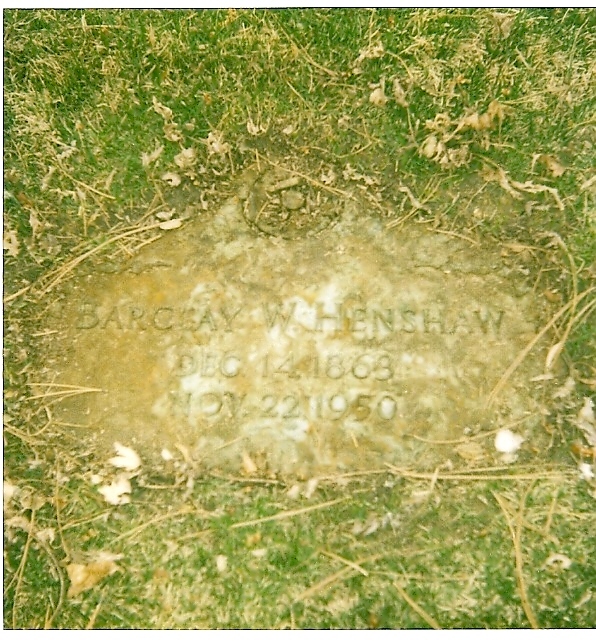 Henshaw, Barclay W., head-of-household, age 36, born Dec 1863 in Kansas; father born in North Carolina; mother born in Indiana; married 5 years; occupation: coal dealer; rented home. 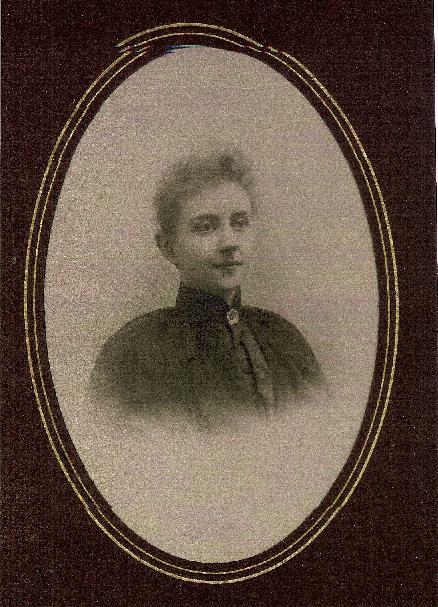 Henshaw, Flora A., wife, age 32, born Sept 1867 in Indiana; father born in Indiana; mother born in Illinois; married 5 years; 3 children, 3 living. Henshaw, Mildred E., daughter, age 4, born July 1895 in Kansas; father born in Kansas; mother born in Indiana. Henshaw, Barclay N., son, age 3, born Sept 1896 in Kansas; father born in Kansas; mother born in Indiana. Henshaw, Lydia R., daughter, age 1, born Aug 1898 in Kansas; father born in Kansas; mother born in Indiana. Henshaw, Nathan, father, age 61, born May 1839 in North Carolina; parents born in North Carolina; married 37 years; occupation: clerk, coal office. Henshaw, Lydia M., mother, age 60, born Aug 1839 in Indiana; father born in Indiana; mother born in North Carolina; married 37 years; 2 children, 1 living. Henshaw Barclay W (Thomas & Henshaw), r 704 E 29th av. Henshaw Barclay W (Thomas & Henshaw), r 2721 Gilpin. Henshaw Barclay W, coal, 309 Cooper Bldg, r 2527 Vine. Henshaw, Barclay W., head-of-household, age 46, born in Kansas; father born in North Carolina; mother born in Indiana; first marriage, married 15 years; occupation: wholesale merchant, coal; rented home. 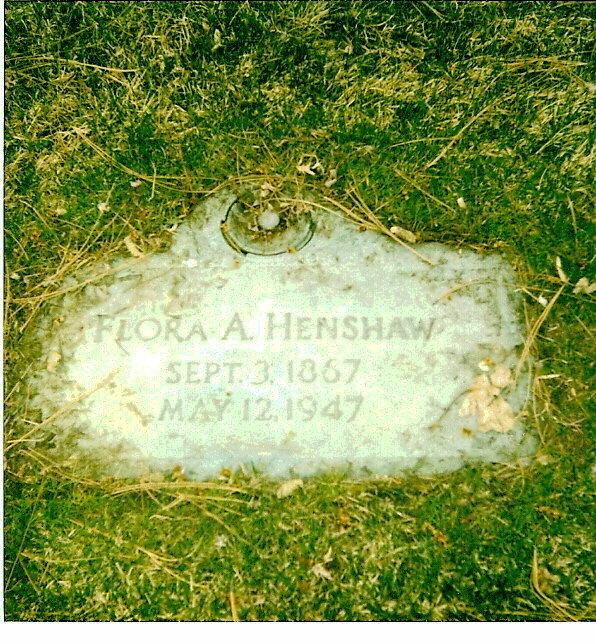 Henshaw, Flora A., wife, age 42, born in Indiana; father born in Indiana; mother born in Illinois; first marriage, married 15 years; 8 children, 8 living. Henshaw, Mildred E., daughter, age 14, born in Kansas; father born in Kansas; mother born in Indiana; attended school. Henshaw, Barclay W. Jr., son, age 13, born in Kansas; father born in Kansas; mother born in Indiana; attended school. Henshaw, Lydia R., daughter, age 11, born in Kansas; father born in Kansas; mother born in Indiana; attended school. Henshaw, Leland DeF., son, age 8, born in Colorado; father born in Kansas; mother born in Indiana; attended school. Henshaw, John L., son, age 6, born in Colorado; father born in Kansas; mother born in Indiana; attended school. Henshaw, William N., son, age 4, born in Colorado; father born in Kansas; mother born in Indiana. Henshaw, Joseph T., son, age 2, born in Colorado; father born in Kansas; mother born in Indiana. Henshaw, Flora A., daughter, age 9 months, born in Colorado; father born in Kansas; mother born in Indiana. Henshaw, Barclay W., head-of-household, age 56, born in Kansas; father born in North Carolina; mother born in Indiana; rented home; occupation: Sec. & Treasurer, coal co.
Henshaw, Flora A., wife, age 52, born in Indiana; father born in Indiana; mother born in Illinois. Bischoff, Lydia R., daughter, age 21, born in Kansas; father born in Kansas; mother born in Indiana. Henshaw, Leland D., son, age 18, born in Colorado; father born in Kansas; mother born in Indiana; attended school. Henshaw, John L., son, age 16, born in Colorado; father born in Kansas; mother born in Indiana; attended school. Henshaw, William N., son, age 14, born in Colorado; father born in Kansas; mother born in Indiana; attended school. Henshaw, Joseph T., son, age 12, born in Colorado; father born in Kansas; mother born in Indiana; attended school. Henshaw, Flora A., daughter, age 10, born in Colorado; father born in Kansas; mother born in Indiana; attended school. 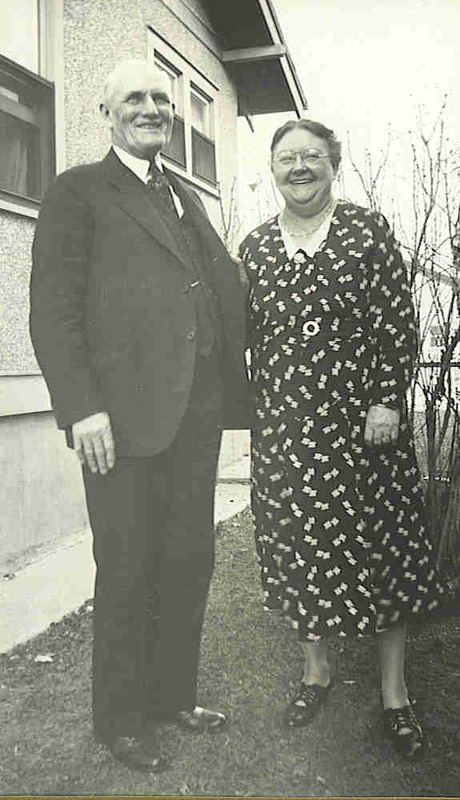 Bischoff, Martin E., son-in-law, age 27, born in Colorado; father born in Germany; mother born in United States; occupation: salesman, clothing co.
Henshaw, Barclay, head-of-household, age 66, born in Kansas; father born in North Carolina; mother born in Indiana; first married at age 30; rented home ($35 rent); radio in home; occupation: salesman, coal; not a veteran. Henshaw, Flora A., wife, age 62, born in Indiana; father born in Indiana; mother born in Illinois; first married at age 27. Henshaw, William R., son, age 24, born in Colorado; father born in Kansas; mother born in Indiana; attended school; occupation: salesman, coffee; not a veteran. 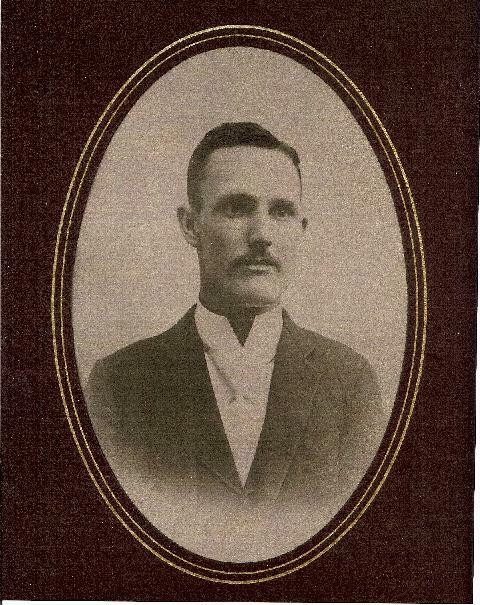 Henshaw, Joseph, son, age 22, born in Colorado; father born in Kansas; mother born in Indiana; occupation: shipping clerk, biscuit merchant co.; not a veteran. Henshaw, Flora A., daughter, age 20, born in Colorado; father born in Kansas; mother born in Indiana; occupation: telephone operator, telephone. Henshaw, Barclay W, head-of-household, age 76, born in Kansas; completed 4 years of college; on Apr 1 1935 was living in the same house; owned home ($3000 value). Henshaw, Flora A, wife, age 72, born in Indiana; completed 4 years of college; on Apr 1 1935 was living in the same house. RootsWeb WorldConnect data from Raymond L. Maris (). 1910 census, 8th Ward, Precinct 6, Denver, Denver County, Colorado; roll T624-115, ED 99, page 101A, line #6, dwelling #2, family #2. 1900 census, Precinct 4, Denver, Denver County, Colorado; roll T623-118, ED 59, page 6B, line #63, dwelling #130, family #138. 1920 census, Denver, Denver County, Colorado; roll T625-158, ED 19, page 3B, line #80, dwelling #62, family #65. 1930 census, Denver, Denver County, Colorado; roll T626-233, ED 18, page 3B, line #79, dwelling #61, family #65. 1870 census, Willow Springs, Eudora Township, Douglas County, Kansas; page 253, line #14, dwelling #214, family #218. Ancestry Family Tree, posted by Joan Elizabeth Henshaw; http://www.ancestry.com. Contribution from Carol Lawrence Vidales. 1880 census, Eudora Township, Douglas County, Kansas; roll T9-0380, ED 64, page 17C, line #16, dwelling #89, family #89. 1940 census, Denver, Denver County, Colorado; roll T627-484, ED 16-21, page 6B, line #71, household #132. U.S., Quaker Periodicals, 1828-1929; http://www.ancestry.com. 1870 census, Council Grove Township, Morris County, Kansas; roll M593-439, page 695B, line #12, dwelling #174, family #193. 1875 Iowa state census, Lawrence P.O., Wakarusa Township, Douglas County, Kansas; page 30, line #18. Ballenger & Richards Denver city directory, 1887; http://www.ancestry.com. Ballenger & Richards Denver city directory, 1891; http://www.ancestry.com. Ballenger & Richards Denver city directory, 1900; http://www.ancestry.com. Ballenger & Richards Denver city directory, 1901; http://www.ancestry.com. Ballenger & Richards Denver city directory, 1902; http://www.ancestry.com. Ballenger & Richards Denver city directory, 1903; http://www.ancestry.com. Ballenger & Richards Denver city directory, 1904; http://www.ancestry.com. Ballenger & Richards Denver city directory, 1910; http://www.ancestry.com.